WOID XVIII-5. From New York...It’s THE PENNIES! 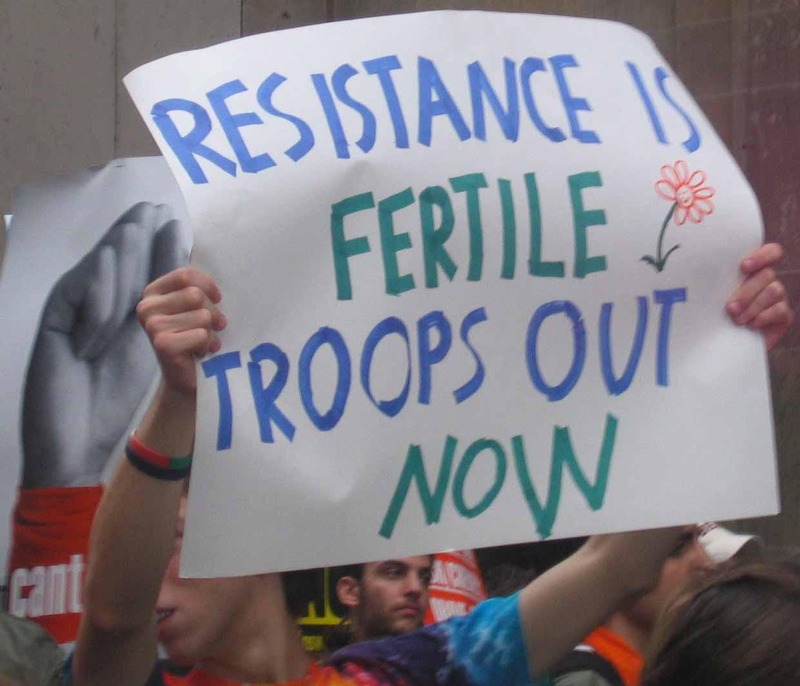 Once more it’s time for the Pennies, the distinctive award for Creativity in Protest Signage! 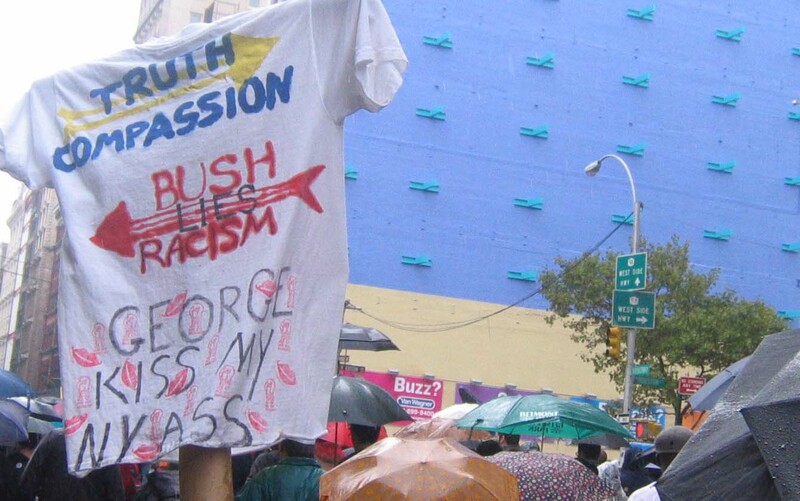 George Bush hates the weather; that’s odd: the weather thinks the world of him, witness the discouraging rain that fell on again, off again on today’s peace march in New York City. 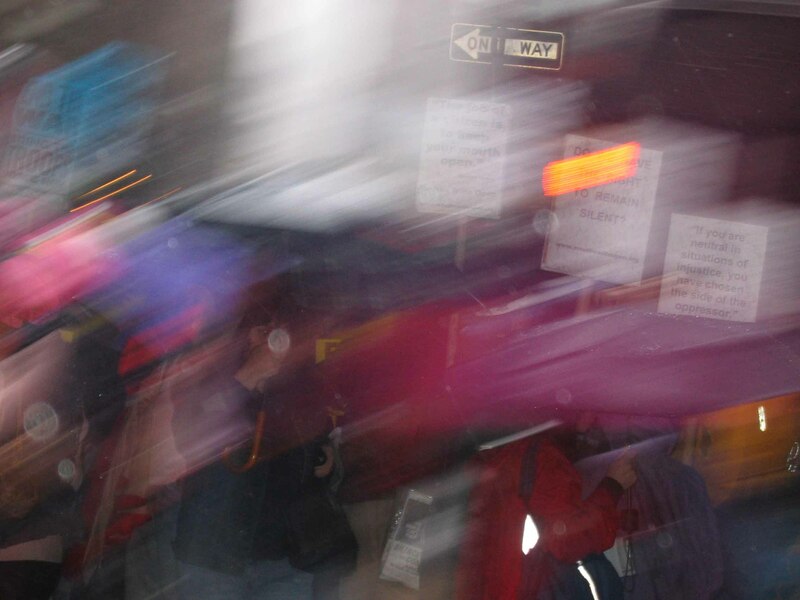 Maybe 5,000 and up turned out: they also serve who stand around and get wet. The major unions had called out their members, but I saw no one from the UAW, a handful from SEIU, and a nice crowd from the AFT. Frances Curtis from District Council 37 gets the prize for speechgiving. I’m sad to say that creativity was pretty low in signage – nobody likes to get their hand-made masterpieces soaked. But then, what demonstrators lacked in getting over the same message over and over again, they more than made up in variety of messengers. This was the most ethnically balanced antiwar demonstration I’ve seen in New York in a long, long time, with a visual style to match. 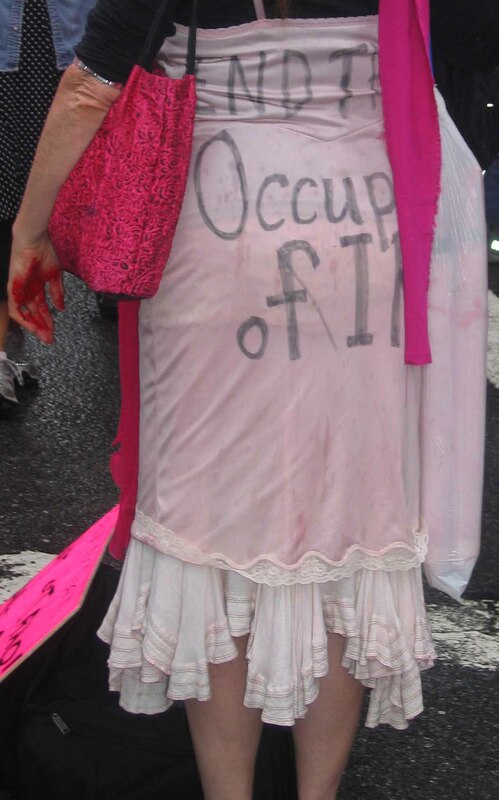 Most colorful presence: CODE PINK! Most creative slogans: The Answer Coalition, some twenty-odd black and Hispanic teenagers, with chants like: BLACK, LATINO, ARAB, ASIAN OR WHITE! NO MORE, NO MORE THIS RACIST WAR, DEFEND OUR CIVIL RIGHTS! Not exactly a visual protest, but, to the young lady leading the chants: I love your black-and-red earrings, girl! And remember: the Pennies...Mightier than the sword!